What counter height is best for extra tall 36 inch bar stools? 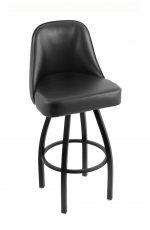 These are great choices for a 50″ tall bar (that’s 50 inches from floor to the bar counter). As a quick reminder, 45″ tall bars pair best with a 34″ seat height stool, and 42″ bars match with a 30″ seat height. These measurements are a rough guide to help you choose the right stool. What is a 36 inch extra tall bar stool? It’s a stool whose seat is 36 inches or 3 feet above the ground. 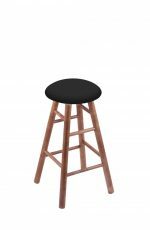 It’s the highest stool you can get! 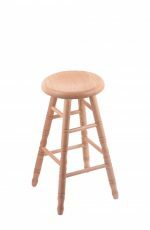 You should know up front that because of its height, this is also the most unstable stool. 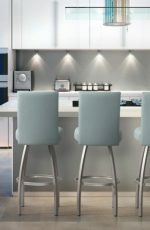 Children and elderly people should take special care to prevent falls. As with any stool, you assume the risk and the manufacturer is free from liability. 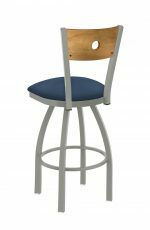 If you prefer to sit a little higher or lower, depending on how tall you are, you might want to choose a height that’s different from the guidelines above. 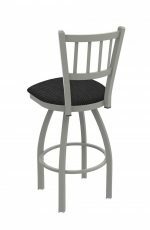 If you have any questions, please give us a call! We’d love to help you find a stool that’s a perfect fit. 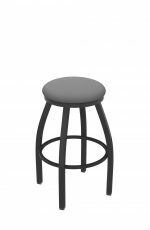 Many of these are weatherproofed so you can use them outdoors. 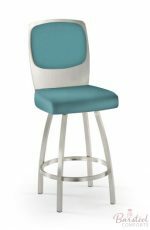 They’re especially popular for pools and patios, where they help you keep an eye on kids, pets, or just the view! Each has been tried for comfort and tested for durability before offering them to you. 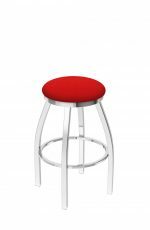 How many stools can you fit in your room? These tend to be hand-built because of their extra height. They usually have legs that angle to a wide base for better support and stability. 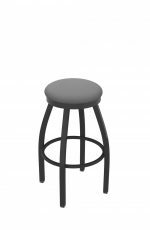 When you’re calculating how many stools you need, be sure to use the stool’s full width at the base of the legs. 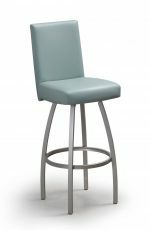 Compared to standard bar stools, fewer 36″ stools will be able to fit in a given space. 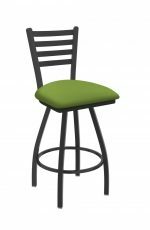 How much room should you plan to leave between stools? 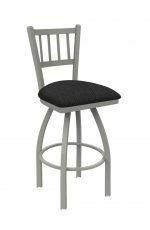 You’ll want to leave more room between your 36 inch stools with armrests. 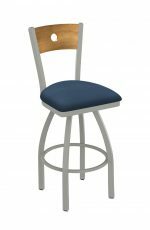 Remember that arms make the stool wider and can reduce the amount of space that people have to get in and out of the stool. 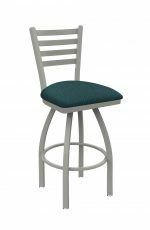 Twelve inches is a good gap between stools without arms and 18 inches is best for stools with arms. 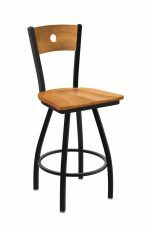 I don’t recommend an extra tall backless stool because without the back support it’s much easier to fall off—especially when a person’s been drinking! 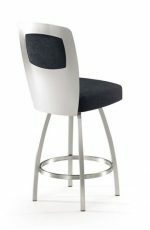 I recommend adding armrests to your bar stools for both stability and ease of getting in and out of the seat. 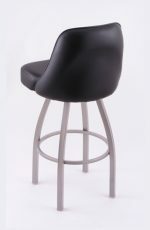 The armrests give you something to hold as you sit, and make it easier to turn and look around. They also give you something to grab onto as you climb in and out of the stool. 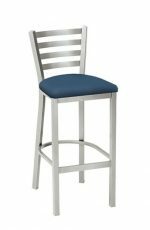 When choosing 36 inch extra tall stools, I recommend a sturdy steel frame. 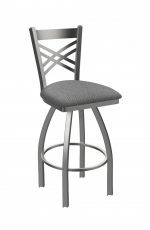 Steel tends to stand up to everyday wear and tear and has the strength to support the bar stool’s extra height. 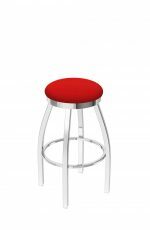 All of our metal stools have strong steel frames, like these top quality stools from Holland. I wouldn’t recommend a wood-frame stool with a seat higher than 30 inches. 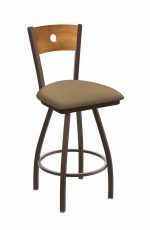 Wood doesn’t give the support that 36 inch bar stools need. 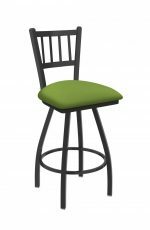 It tends to expand and contract, which can loosen the fasteners that hold it together. 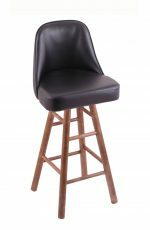 Wooden footrests can also snap off when you use them to climb in or out of the stool. A quick safety fix for extra tall bars—raise the floor! 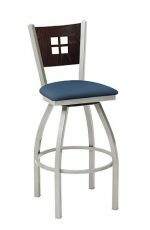 If you have an extra tall bar but you don’t want your guests sitting in a 36 inch stool for safety reasons, try this: build a simple platform in front of the bar, ideally eight feet wide, and put shorter stools on the platform. 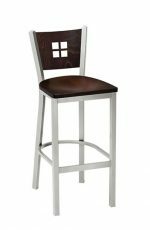 I suggest a wide platform to eliminate any chance that a guest’s stool would slip off the edge of the platform. Browse all of our 36 inch extra tall bar stools below. 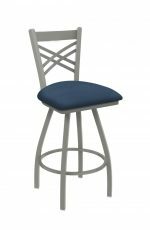 You’ll love the prices and great quality!